Join us for fun and shopping in downtown Berthoud. 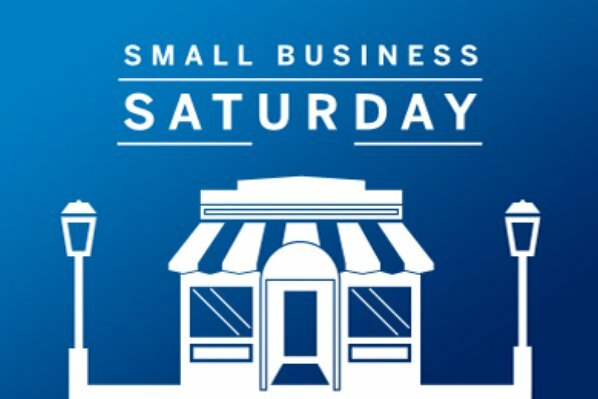 It might be "Small Business Saturday" but we want you to SHOP BIG in BERTHOUD! You have a chance to win cash prizes and other gift items from participating businesses while getting your holiday shopping done. This also gives you an opportunity to visit shops that you may not have been to yet. Discover the amazing businesses in Berthoud. Pick up your paper player page either at the Berthoud Community Library District or at MainStreet Care Care. Or, you can download our Berthoud Chamber App and look for the Scavenger Hunt there and play. If you play from our Phone App, there will be a leaderboard so you can see how you are doing in comparison with other players. Be sure to visit all of the participating businesses, collecting codes from a mug that has Northern Colorado Credit Union on it, hidden in plain sight (see photo below)), for ten points each. For every receipt (from one of the participating businesses) that you show at the library, you will get another ten points for a better chance to win. Businesses will also have specials for the day, so be ready to shop. When you return to the library you can get your Berthoud purchased gifts wrapped for free. We will notify the winners the week of November 26. Hours will be listed on the player cards (Some Vary).